Katsuya's life is turned upside down when he contracts a strange blood disease. On one side, a doctor that's an old friend tells him to seek treatment immediately -- but then a strange man appears and tells him that the doctor will kill him. 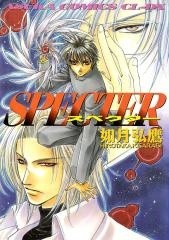 Who's telling the truth, and what exactly is this "Specter" he's infected with? And what could it possibly have to do with his dead father...?